Dengue is the most common disease to spread during the monsoon season. The symptoms include fever, nausea, headaches, joint pains. 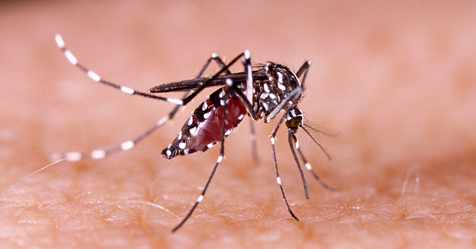 Learn the recovery process, survivor�s advice and remedies to avoid dengue. I live in a suburban area of Hyderabad. The Hyderabad rains are both a relief in the summer, and a problem. In their wake, they often leave several waterlogged potholes and open drains. My story starts the week after the torrential rain had subsided and the city was springing back to normal life. It happened on a Friday evening. Radhika and I were heading back home from a dinner. The breeze was mild and soothing but I felt quite uneasy through the drive. I shared this with Radhika and she jokingly suggested that I must have had one Rosogolla too many for dessert. By the time I hit the bed my condition had worsened. I felt distinct chills all over my body. It hurt too- the way your muscles start breaking down at the brink of fever. I was shivering, but Radhika checked my temperature and confirmed that I was heating up. I decided to pop in a paracetamol and wait until the morning to visit the doctor. I woke up with a splitting headache. My body hurt twice as much now- especially the lower back. I knew this wasnt the regular fever. Radhika rushed me to the nearest hospital. I went through a series of tests at the end of which the doctor confirmed that I had a case of Dengue. They immediately got me admitted and put me on drips. Living in Hyderabad, I had always heard of people falling prey to the deadly disease. I was somehow under the assumption that it could never happen to me. The following week was a harsh reality check. In 2 days I got discharged from the hospital but was under intensive care at home. My body felt broken and tired. My throat was sore and by the 4th day, I had developed itchy rashes all over my legs. The doctor said it was normal for the rashes to appear. The fever had gone but left me with no appetite or strength. The struggle for the next 14 days was real. I slowly gathered my strength back but on a strict diet. I visited the doctor for regular blood tests. Thankfully my platelet count hadnt dropped too low or else it could have been fatal. That year, there were 14 deaths due to Dengue only in Hyderabad. The Dengue virus is spread by the bite of the mosquito- Aedes Aegypti. It bites only in the daytime. In about 2 years there may be a vaccine for Dengue in India. But as of today the only way to prevent it is by reducing ones exposure to the mosquito. The steps you and your society take will go a long way in safeguarding the community against Dengue. Use mosquito repellents and nets. Avoid water stagnation at home or in the society. Dont keep buckets filled with water. Ensure there are no waterlogged drains near your house. Spray insecticides in the dark corners of your house to kill adult mosquitoes. As much as possible, wear long sleeves when travelling to a new place. We can only try to avoid Dengue through the few things we can control, especially with the precautions we can take. For what its worth, even today, I dont know when and where the mosquito bit me. But with a little care and caution, we can make our homes, societies and cities safer. Have a question? Consult Dr Chaitanya online.